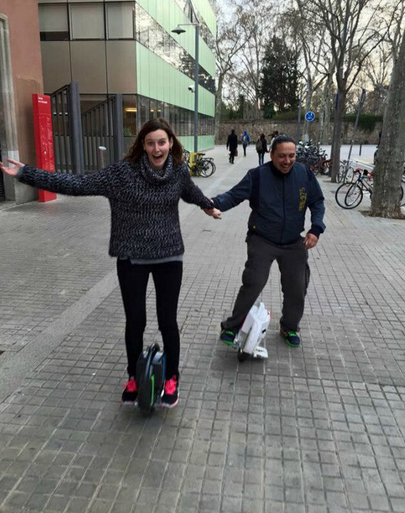 Why Run With Your Camera When You Can Roll On The AirWheel Self-Balance Electric Unicycle? Shooting a moving object can be a tedious affair, especially if you are a cinematographer who values perfection in his or her projects. The same goes for shooting videos and dealing with visual effects. A shaky shoot can be low in quality and it can even get dangerous when you run around using your camera. Apart from getting shaky shots, you could end up tripping and getting injured or damaging a pricey camera. A new product observed with many photographers is the self-balancing electric scooter called AirWheel. Its self-balancing feature makes it possible to shoot running individuals or moving objects without having to run behind it. 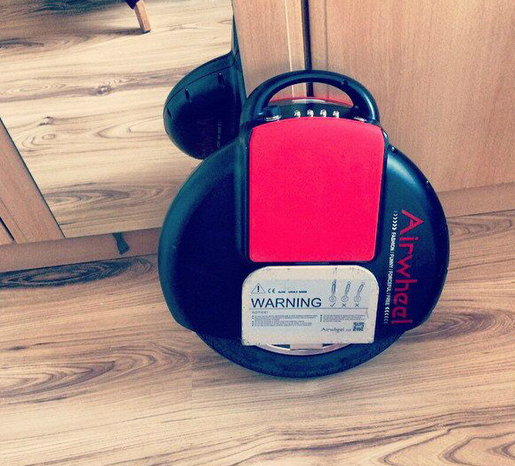 AirWheel is an electric unicycle. It is designed using the gyroscope mechanism and it is this feature that enables it to maintain self-balance. It has actually begun gaining popularity across the globe as a commuting transporter. It runs on batteries; a single charge holds up for upto seven miles after which it will need recharging. It is much more like a bicycle only that you do not need to use your arms and pedal to steer. The unicycle is controlled by simply titling the body backward and forward depending on the direction the rider wishes to go. The hands-free operation makes it very dependable and reliable when it comes to using a camera. Even though rolling this electric unicycle is pretty simple, you are better off using training wheels in the beginning, when you are just learning. To move forward after turning on the unicycles and stepping on the side pedals, you would need to lean forward. To move back, all you have to do is lean backwards. Balancing yourself to the right or left is done the same as you would a bicycle. Balancing is most important when you are moving at a slow pace or when standing on the electric unicycle. If you know how to use s skateboard, you should have an easy time learning the balancing act on the electric scooter. Apart from training wheels which will help prevent side wobbling, you can use the strap that comes with this unicycle. The safety strap makes it possible for you to maintain control even when you need to jump off it. You can use a 3-axis camera gimbal amazingly well on the self-balance unicycle. You will find different unicycle series with the main differences being stability and agility. For instance, the X-series is single-wheeled offering more agility, but less stability while the Q-series is twin wheeled for more stability and ease of mastering. There is also the S-series that is larger and has two wheels making it the most stable with minimum effort of learning since it has a handlebar and standing platform. Make all considerations before making your electric scooter purchase to get the best for the needs you have.